Who doesn’t love a pop of color in the their life? 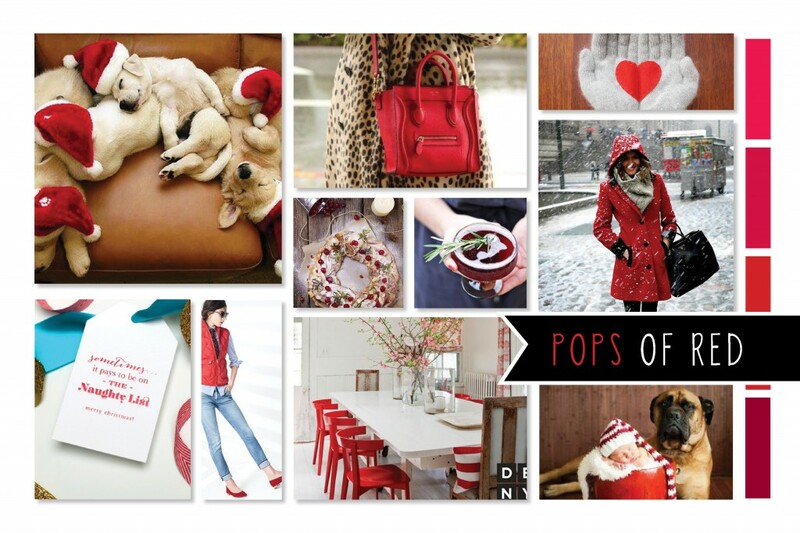 For the holidays, enjoy a pop of red! A Red Purse will add a pop to any outfit! A lovely heart sewn into Warm Winter Gloves. Delicious Almond Cinnamon Bread with pops of red cranberries and a Christmas Cocktail. Love this Red Coat in the dusty white snow. Add a pop of red to your gifts with our Naughty List Gift Tags. A red vest & matching shoes. I absolutely love adding pops of color to a kitchen. Someone is pregnant… so I’ve definitely have babies on my mind… & we love dogs at FD.